Nothing is Everything' is the masterful new collection from acclaimed Canadian author Simon Strantzas. With elegant craftsmanship Strantzas delicately weaves a disquieting narrative through eerie and unexpected landscapes, charting an uncanny course through territories both bleak and buoyant, while further cementing his reputation as one of the finest practitioners of strange tales. 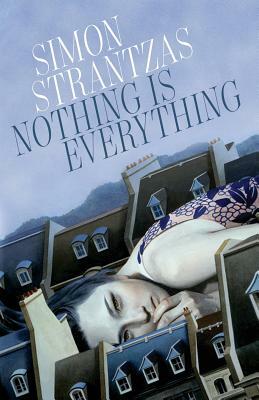 Advance praise for "Nothing is Everything"
"Simon Strantzas captures the creepiness of small town Ontario; there is something of Seth, of Alice Munro in his work, wonderfully tangled with the likes of Aickman and Jackson. Uncanny as a ventriloquist's doll, but with a real, beating heart." "Welcome to Nothing is Everything, the latest collection by Simon Strantzas. Taking the paths less traveled to the human heart and mind, and excavating the strangeness that abides therein, Strantzas is one of the most striking writers working today." "Simon Strantzas is Shirley Jackson-grade eerie, creating stories that are as unsettling as they are elegant." "The unexpected has arrived, and has brought with it the unknown. Simon Strantzas' stories arrive without warning, to offer those unknown gifts and sidelong glimpses that bring mystery close enough to touch." "Simon Strantzas's compelling stories unfold across a liminal landscape of small towns and ordinary situations where encounters with the uncanny are often revelatory. With his latest collection, he further cements his place as a significant voice among a wave of writers who are redefining the boundaries of genre, blending a literary sensibility with a powerful sense of the possibilities for transcendence in the everyday."